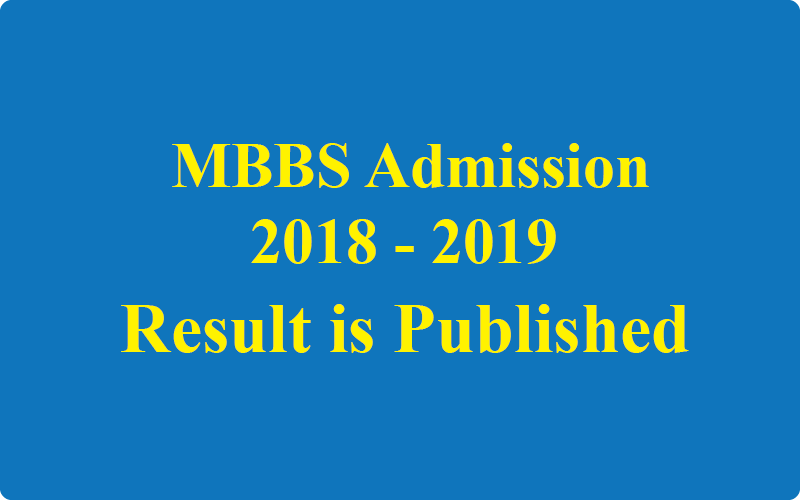 MBBS Result 2018 - 2019 MBBS admission test result 2018 2019 Medical Question 2018 - 2019 100% correct solution মেডিকেল এমবিবিএস ভর্তি পরীক্ষার ফলাফল ২০১৮ - ২০১৯ When will be publish medical mbbs admission test result ? On 5 October, 2018 MBBS exam was held all over the country. After two days of MBBS examination 2018 2019 the result is published. 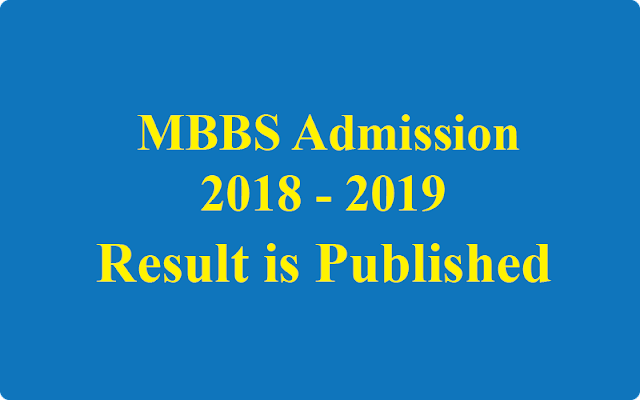 You will get mbbs result on the above link and everyone will get mobile phone sms, If one gets chance, will get sms first and if one does not get chance will get sms later. The official site may have huge traffic and it may down for sometime. And when the result is uploading and processing, the site also be down. But after a few time, everyone will get medical MBBS result 2018 2019 from the above official site. The following result is for 2018 - 2019 session. DGHS has published MBBS result like below image in http://result.dghs.gov.bd/mbbs website. You can challenge your MBBS result by Mobile SMS too in the following way. In this way, you can reexamine your answer script. The MBBS rescrutiny result will be published in few days.